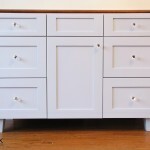 We built this two drawer, painted vanity as part of a larger project for a house in Strathmere, NJ. 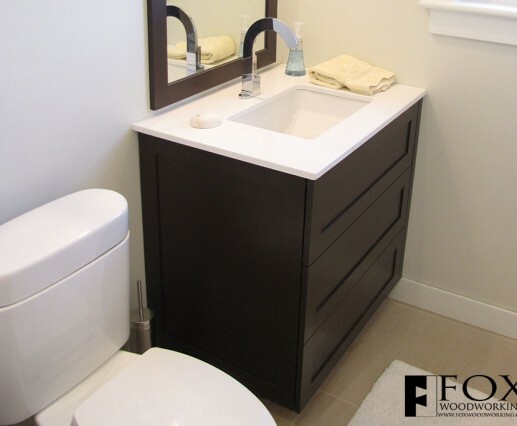 The top drawer is a false panel due to the vanity sink. The lower two drawers are operational and run on Blum undermount drawer slides. The drawers are solid wood joined with dovetails. 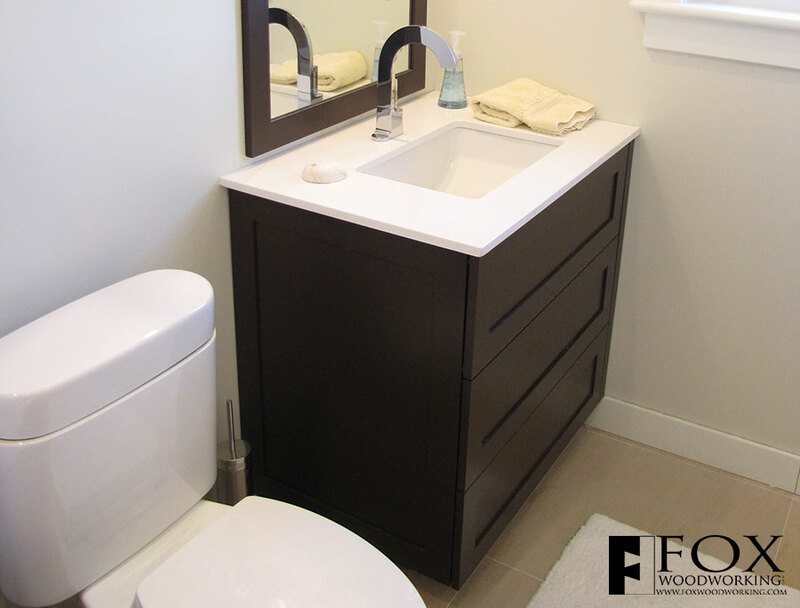 The drawers have been made to wrap around the plumbing to provide as much storage as possible. The cabinet finish is a pigmented conversion varnish while the poplar drawers were finished with a clear conversion varnish.